The number of Israelis with confirmed measles cases has now reached 882, said the Israeli Health Ministry on October 23, 2018. And, according to reporting by Ido Efrati, Haaretz Correspondent, 60 percent of these cases (529) live in the Jerusalem district. 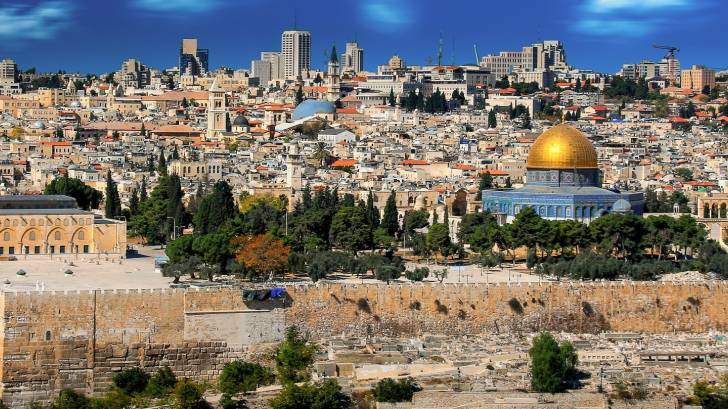 Jerusalem District Health Officer Dr. Chen Stein Zamir, Ph.D. MPH, pointed to ‘low immunization rates in the capital and surrounding areas,’ as the reason for this measles outbreak, reported Haaretz. Additionally, on October 11th, the Tel Aviv District Health Bureau alerted the general public of a measles patient aboard Turkish Airlines flight 788, which departed from Turkey. As of October 22, 2018, the US Centers for Disease Control and Prevention (CDC) had not issued a Travel Alert regarding the measles outbreak in Isreal. In the USA, the CDC says obtaining a measles vaccination is the best protection against this infectious disease, which is caused by a virus. This virus spreads through the air when an infected person coughs or sneezes. The CDC says 2-doses of the Measles-Mumps-Rubella (MMR) vaccine are about 97 percent effective at preventing measles. In related news, on October 19th, 2018, the New York City Health Department reported 6 children with confirmed measles in the Orthodox Jewish community in Williamsburg, Brooklyn. The initial measles case was acquired from a child who visited Israel. In the USA, as of October 6, 2018, 142 individual cases of measles have been confirmed in 25 states and the District of Columbia. The majority of people who got measles during 2018 were unvaccinated, says the CDC. The CDC Vaccine Price List provides the private sector vaccine prices for general information, and MMR vaccine discounts can be found here.